Spinal cords are the most integral piece of the human nervous system. Without a healthy spinal cord, the brain cannot communicate with the other parts of the body. Treatment for nervous system and spinal cord injuries in particular are sometimes lacking, leaving victims of spinal cord injuries with potential long term and even lifetime complications. At The Law Office of Kamensky, Cohen & Riechelson, our personal injury attorneys understand the severity of spinal cord injuries. Whether you have suffered a spinal cord injury from a motor vehicle accident, slip and fall, criminal violence, a drunk driving accident, or any other kind of accident, we will seek full and fair financial compensation for you injuries. Lean on the experience we have built through serving clients in our local Pennsylvania communities including Levittown, Northeast Philadelphia, Feasterville, Bensalem, Penndel, Millbrook and the greater Bucks County region. Call our office today for a free and confidential consultation regarding your accident, your injuries, and your potential personal injury claim. As you can see, spinal cord injuries are rare, but extremely serious when encountered. Many spinal cord injury sufferers are permanently disabled, which is a major factor on how our Levittown personal injury attorneys will handle your claim. While not all spinal cord injuries entitle the victim to financial compensation through a personal injury claim, many do. In order for you to have a winnable personal injury claim, your accident must have been due to the reckless or negligent behavior of another party. 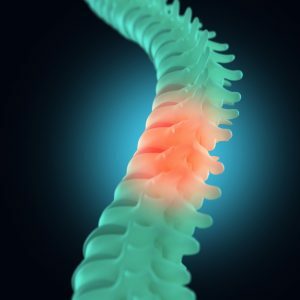 Our Northeast Philadelphia attorneys may find fault in a variety of ways for common causes of spinal cord injuries. Motor vehicle accidents – if your SCI was the result of a motor vehicle accident, we will strive to show that the injurious accident was due to the reckless or negligent actions of another party. This may include other drivers, property owners, or even the state of Pennsylvania if inadequately maintained public roads are to blame. PA state law uses comparative negligence statutes, which say that even if an injured party is partially at fault for their accident, they still may seek compensation in certain situations. Slip and falls – serious injuries resulting from falls usually constitute a premises liability claim. This type of personal injury claim holds the property owner or manager responsible for failing to provide a safe and secure environment for others. Criminal violence – this cause of injury is slightly more complicated, but it is possible to sue the criminal offender in a civil case separate from criminal proceedings. We may also choose to find that your accident was due to negligent security based on the circumstances and find property owners or managers liable. For those affected by spinal cord injuries, recovering compensation is an absolutely essential step towards maintaining a full life. It is possible that you may never be able to return to work, and the costs associated with healthcare and rehabilitation can be staggering. Our Bucks County personal injury attorneys will go over the details of your case and find out how we can best attempt to secure your family’s financial future. Pain and suffering is of particular importance in spinal cord accident injuries. Many times, physical pain and suffering damages are calculated by insurance companies using your medical bills and a simple formula. However, spinal cord injuries are like permanent disability injuries in that we may fight for even higher compensation. If your insurance company has already offered you a settlement, it is a great idea to review that with a personal injury attorney before making any decisions. Insurance companies are interested in settling your claims as quickly and cheaply as possible. Their first offer will almost certainly be a low ball offer which is intended into rushing claimants into a hasty decision. After you sign settlement paperwork, you will waive the right to any future legal claims. It is vital that the settlement or verdict reached in your personal injury claims takes care of you and your family. This is especially true for spinal cord victims, whose injuries commonly last a lifetime. The personal injury lawyers of Kamensky, Cohen & Riechelson have extensive experience serving victims of spinal cord injuries in Pennsylvania towns including Levittown, Northeast Philadelphia, Bensalem, Feasterville, Millbrook, Penndel, and all of Bucks County. We believe that awarded damages for spinal cord injuries needs to last a lifetime, and take that approach when handling each case we take. Lean on our knowledge and experience within PA personal injury law to seek the fair and full compensation that you and your family need. Contact us online or give us a call at our Bensalem offices by dialing (215) 337-4915 today to speak with a member of our legal team in a free and confidential consultation regarding your spinal cord injury and your potential personal injury claim.